Dogs are the oldest companion of the human being from the evolution of humanity in the world. Dogs become the first friend and helping hand of human among all the animal kingdom. People using the dog as a companion, working hand and as a matter of security from the ancient time. By the passage of time and human civilization, at present technology change the life a lot, but the necessity of dog never decreased. 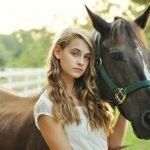 At present man are using dogs for various purposes like security, protection of farm animals, guarding important installation, companion to old and children, playing partner to family and as well as a family member. 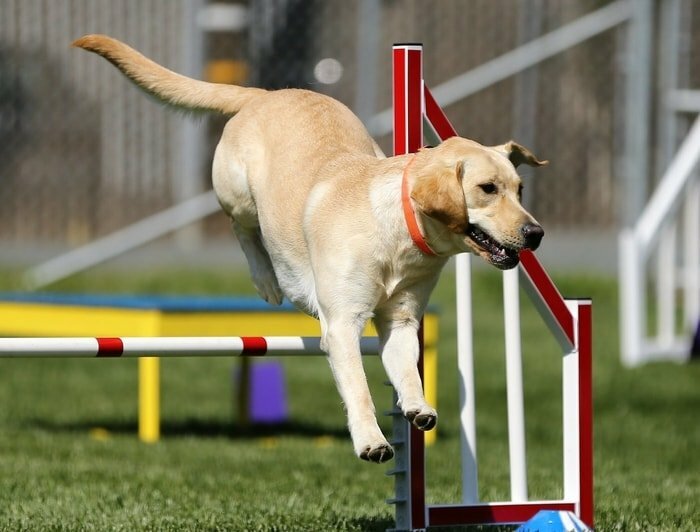 The working dog breeds are valuable for many instances basing on the requirement and purpose. In this article, I shall briefly describe to 15 working dog breeds for you. 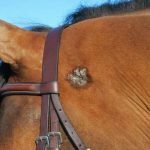 I think these much pieces of information will help you to take the right decision for your working dog. There are the number of working dog breeds you will find throughout the world, and the uses of dogs vary in the different region. The people are using working dogs basing on the requirements and availability. In my article, I shall briefly familiarize you with most common working dog breeds. The name of the dog breeds for you are Boxer, Bullmastiff, Border Collie, German Shepherd, Labrador Retriever, Doberman Pinscher, Rottweiler, Great Dane, Akita, Alaskan Malamute, German Pinscher, Greater Swiss Mountain, Belgian Malinois, Siberian Husky, Alaskan Malamute, etc. 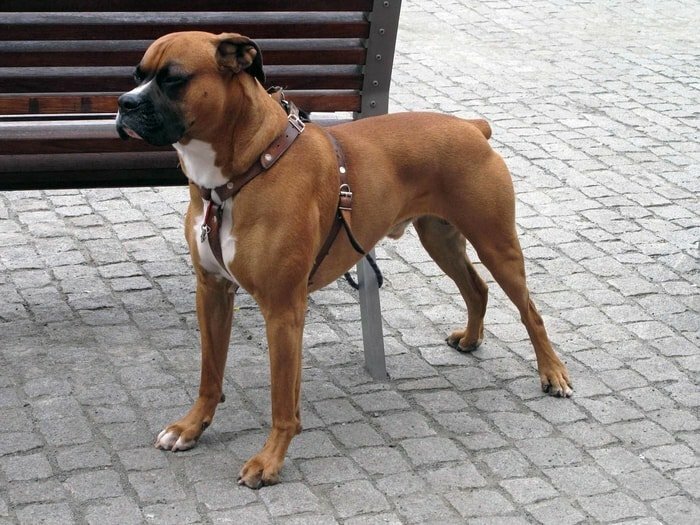 Boxer is one of the finest family dogs and as well as you can utilize it as best working dogs. They are medium-sized, short-haired, intelligent and friendly. Boxer is the loving family dogs with a smooth coat and attractive color. They are devoted, loyal, cheerful, playful, energetic, courageous and confident. 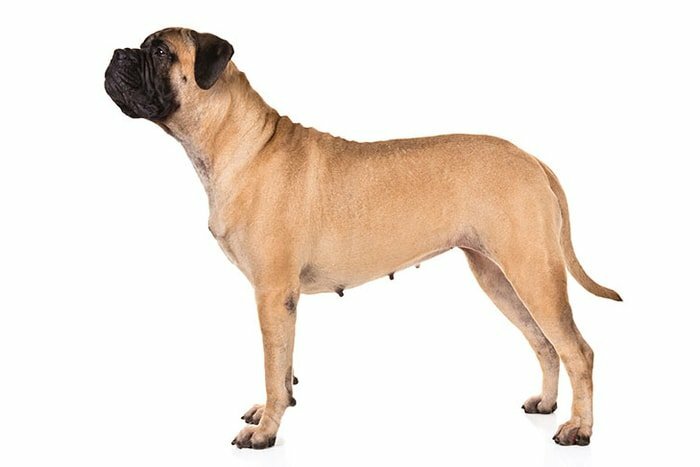 Bull Mastiff is the larger and long sized working dog breeds that originated in the United Kingdom. 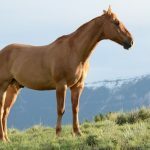 They are the perfect example of the gentle giant in the dog world with a muscular and powerful body but very loyal, intelligent and energetic. You can easily train a Bullmastiff as they are firm and consistent with their works. 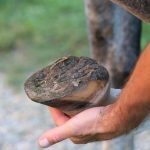 You can very well choose a Bull Mastiff for your home or farm. 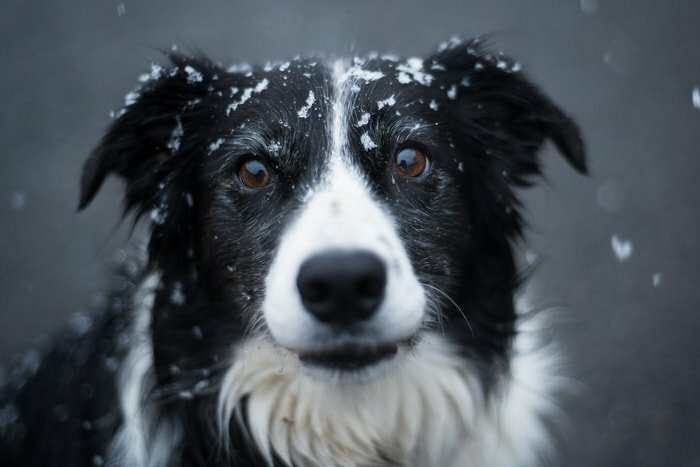 Border Collie is a very powerful and wonderful family dog that you can also utilize for working dogs. They are medium-sized working dog breeds which originated in Anglo-Scottish border and commonly used for the herding of sheep. They are excellent farm dogs with energy, stamina, working drive, intelligent, loyal and lovely to its master. The most attractive part of Border Collie is his intense stare eye. Borders are also popular in the dog show as the can display different games and sports. Doberman would be the loving and devoted companion of his master if you trained properly. 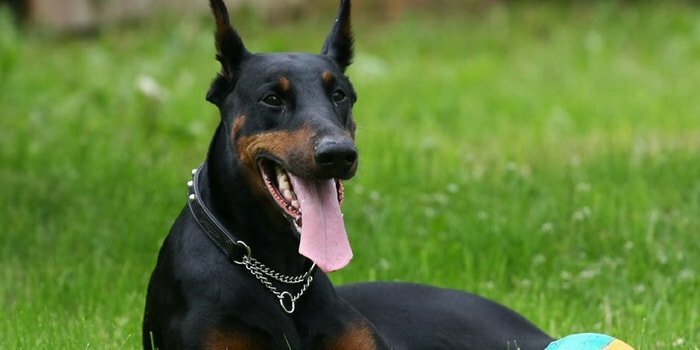 The intelligent and medium-sized Doberman Pinscher originated in the USA and Canada which is one of the most popular working dog breeds of the world. They are loyal, obedient, confident and courageous dogs that may be the best guard dogs at home and farm. The special feature of Doberman is the long muzzle. They are well reputed as the sinister dog.. You will find a Doberman as the most loyal companion. They can be easily trained and learn very quickly. The sweet and affectionate working dog breeds in Great Dane originated in Germany and also called German Mastiff. 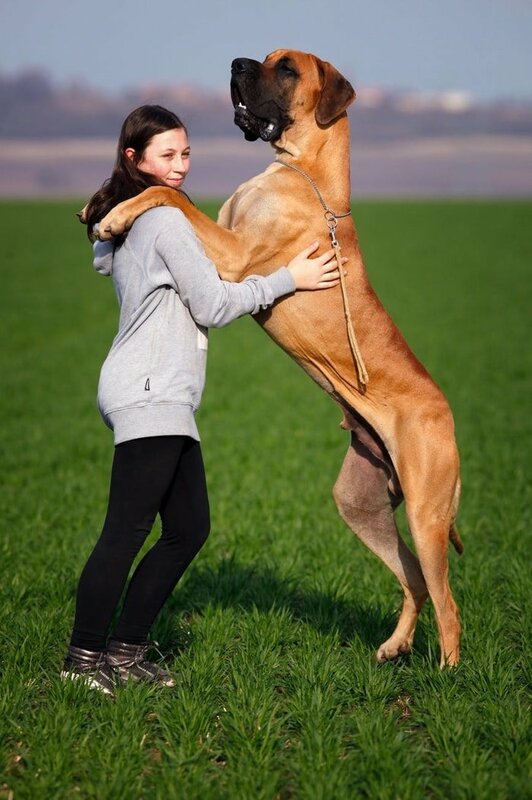 Great Dane is very affectionate appearance and strong. They are friendly, intelligent, devoted and well energetic dogs that you may deploy to protect your firm or home. Great Dane is adorable and likes to play with children. The dog that has a noble, proportioned and commanding look, you will think about the German Shepherd dogs. They are the most versatile and widely used working dog breeds in the world that originated in Germany. They are widely used in Police, Army, security forces and herding dogs. 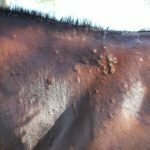 The popular for their brilliant look, smooth coat, and brightening the color. They are medium to large sized dogs that you can easily manage. 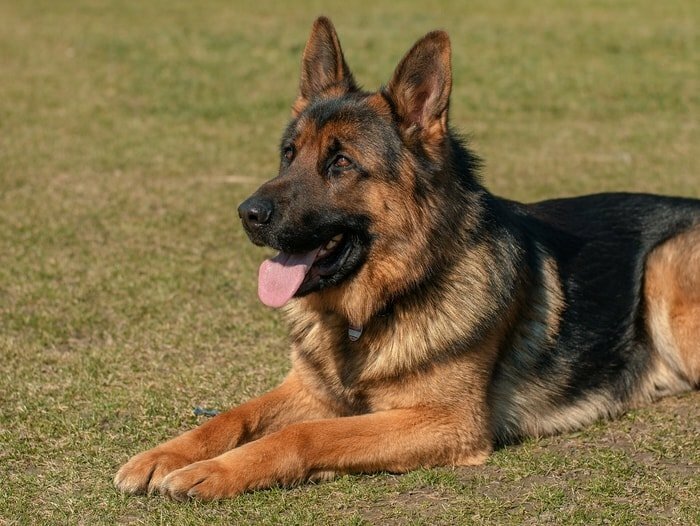 German Shepherd is highly intelligent, loyal, devoted and easy to train. 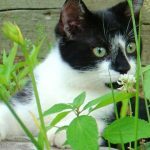 It will be your one of the best choice as companion animals. German Shepherd never shy, nervous or fear during attack or work. Rottweiler is the gentle giant working dog breeds, originated in Germany and widely used as guard dogs. They are powerful, massive muscular build-up, distinctly handsome with black and tan marking. They are loving and loyal family members and works as a family guardian. Rottweiler is truly happy dogs with excellent working performance. The most suitable pet of the dogs’ worlds is the Labrador Retriever that originated in the United Kingdom. They are widely used as hunting dogs, and that’s why they are also called “Gun Dogs.” They are the most popular dog in the United States, Canada, and Europe. Labrador has a remarkable working companion of the human being and is utilized as guard dogs, sniffing dogs, tracking dogs, sports dogs and rescue dogs. Labrador also widely used as show dogs that can display various events with enthusiasm. They enjoy hunting, boating, hiking, jogging, and love kids. Labrador may be one of the best companions for your family. Akita is the most versatile hunting working dog breeds with the wonderful combination of dignity, loyalty, courageous and intelligence. The breed originated in Japan, but it is the only breed that becomes the monument in its home. 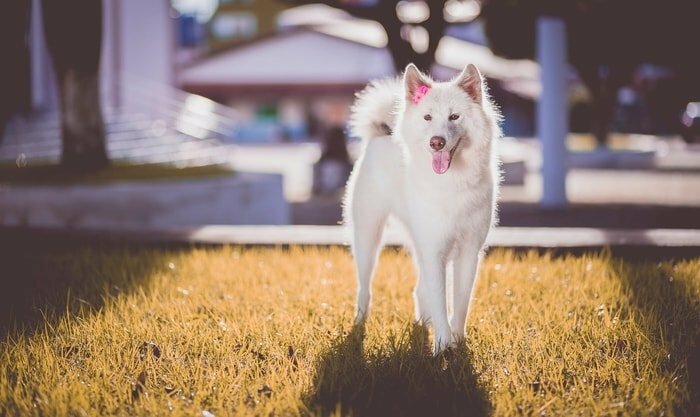 There are two separate varieties of Akita: the Japanese are called Akita Inu, and the other one is American variety called Akita or American Akita. They are used to track or hunt wild boar or deer and never come back from challenges. They are docile and finest family companion. The Alaskan Malamute is a larger dog with the heavy muscular body, highly energetic and heavy fur coat. 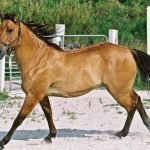 They were bred for carrying carriage in cold climate due to their high physical endurance. They are the best known today as slay dogs, teamed up to can’t people and cargo across the tundra of Alaska. Alaskan Malamute is popular dog breed in the USA, UK and Australia. 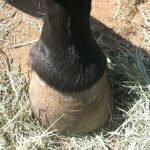 They are gentle, affectionate behavior with families and very hard working. Malamute are very loyal to their master. The Alaskan Malamute can be employed in sniffing dogs, guard dogs, search and rescue operations and snow carriage. They are very furious to cats, that’s why you can keep a cat after the development of good relations. Malamute looks imposing, so make effective deterrent, yetis usually friendly with everyone. 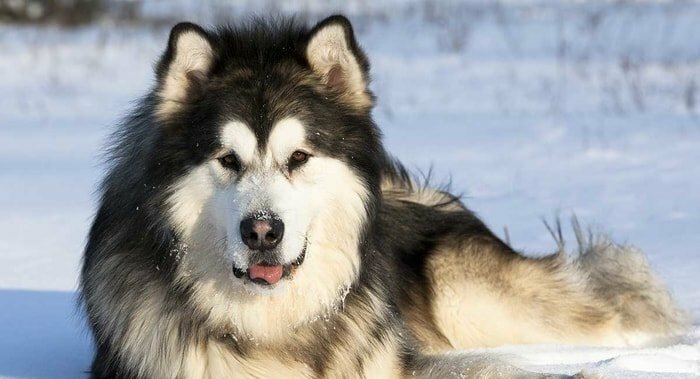 The Alaskan Malamute is very friendly, affectionate, loyal, devoted, dignified, playful in temperament. The German Pinscher are excellent family watchdog, courageous, protective their master and very powerful. They originated in Germany. German Pinscher are very fastest pray among all dogs. They are very active and intelligent dogs that you like very much. They needs daily extensive exercise and companionship to reduce unbecoming behavior among them. German Pinscher is attractive looking, confident, smart and very alert dogs. 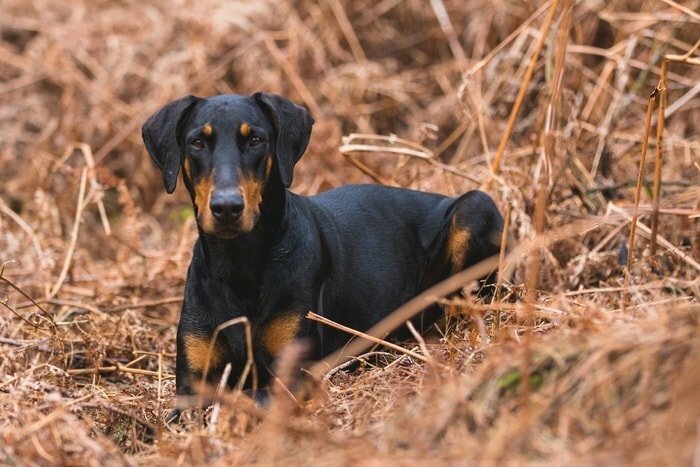 They can chase small animals and birds confidently and known as “Vemin Hunter” German Pinscher is highly assertive, manipulative and determined dog breeds that you can choose for your purpose. The Belgian Malinois are one of the popular police dog in the world due to their intelligence and easy trainability. They can be used for excellent watch dog due to his terrific searching power, energy and physical condition and as well as aggrressive behavior. 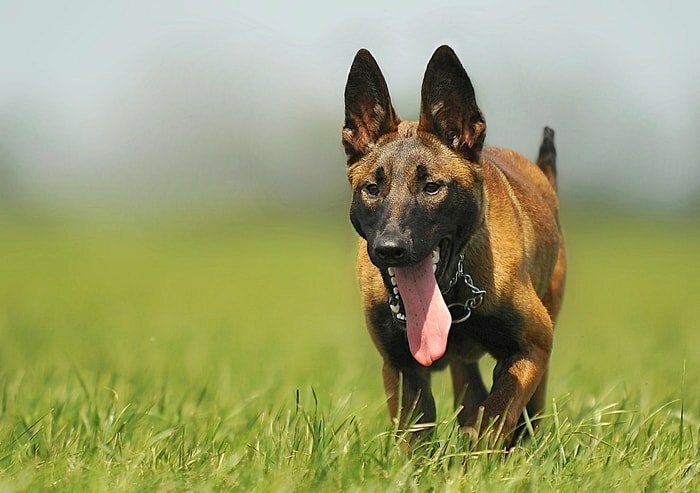 Belgian Malinois is one of the popular working dog breeds that widely used in police, army and security forces. You can also choose this dog for herding, protecting and good family companion. The Siberian Husky is wonderful dog breeds with attractive color and marking. They having a thick coat and easily trained. The special characteristics of the breed is blue colored eyes and only found in Siberia. They are adapted to survibe in extra cold weather. Body colors may have multicolor with black, white, offf white or tan. They are very similar to Siberian wolf, they can take the challange to work in extreme cold, courageous, obedient, intelligent and also have athletic performance. They individually can take take challange for their master critical situation. 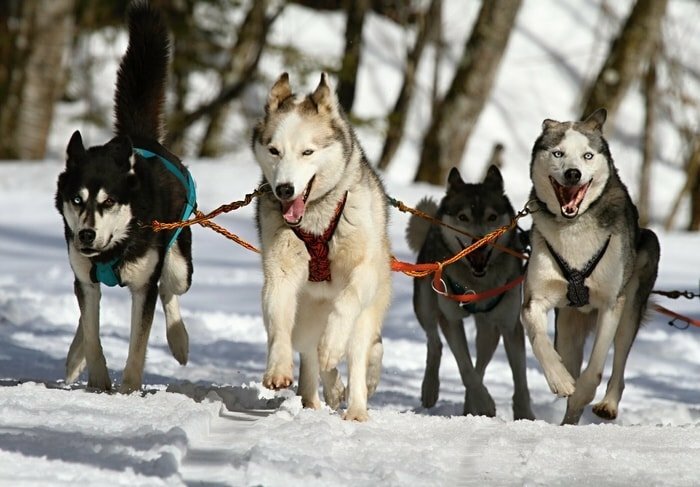 The temperament of Siberian Husky is friendly, outgoing, alert, gentle and intelligent. They are very active to get new things wxposure and curious to other objects. 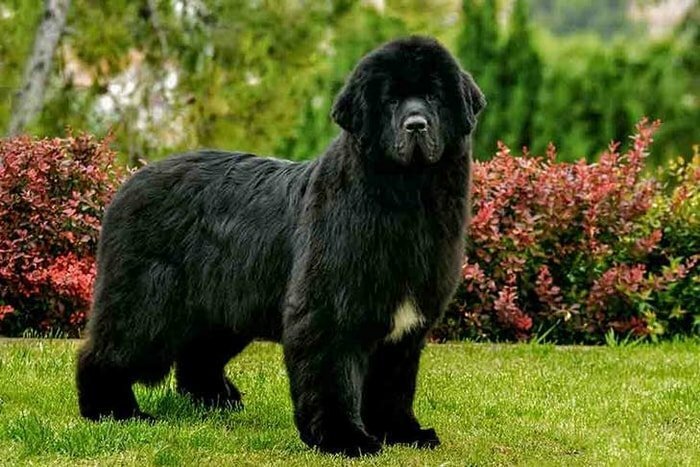 Newfoundland is one of the popular working dog breeds which originated in Canada, considered to be the most intelligent breed in the world. They are one of the largest dog breeds with heavy bones, powerful and dignified bearing. Newfie is an excellent water rescuer, hiking dog, and camping expeditions for the dog lover. Newfoundland is sweet tempered and earned as a good companion for patient and watchful ‘Nanny Dog’ for the child. This dog breed marked as the top family dog. Newfie become aggressive when necessary and protect his family by taking a position between the intruder and to whom he is guarding. 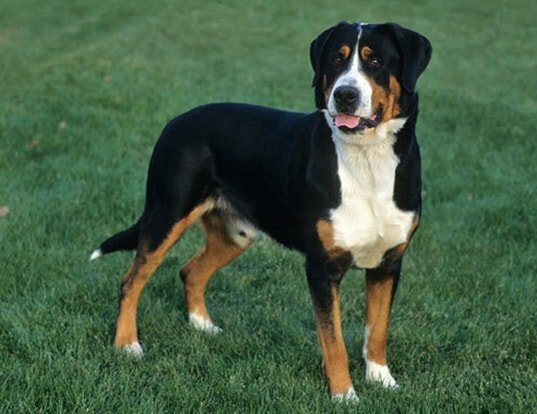 Greater Swiss Mountain is a large, popular working dog breed that originated in the Swiss Alps of Switzerland. 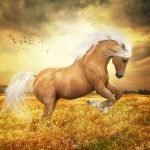 The breed is heavy, muscular and having hard working ability with enough agility to perform all kinds of farm duties. Greater Swiss Mountain has a strong affinity for people and children and enthusiastic. They are sociable, calm, active and dignified. The dog breed needs exercise space more than other breeds. They are confident, stubborn, determined, bold natured and eager to please the children. They are one of the most popular working dogs and enjoy to perform in hiking, carting, obedience trail, herding, weight pulling and backpacking with owners. Working dog breeds have come from the variety of uses, and the common uses are the military working dog, police dog, farm dog, watch dog, guard dog, and companion dogs. 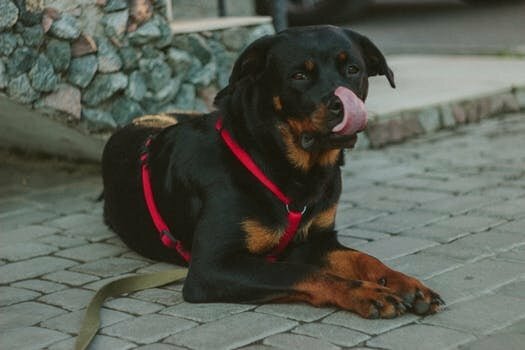 The working dog breeds need some unique characteristics like intelligence, obedience, even-tempered, easily trainable, playful, friendly, stubborn and aggressive as and when required. Working dog breeds are generally medium to large and they need a considerable space for exercise and training. You must see the breed characteristics of each working dog and select as per your need. I think the pieces of information provided above and in my study the top 15 working dog breeds are described for you. You will find a lot of pieces of information and a wide range of working dog breeds list, but all will do your puzzle. This concise and crisp piece of information will help you a lot. 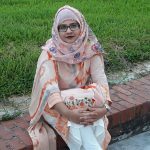 If you are benefited by this article, please share it through social media and to get the latest information to subscribe to our website.